The Vulcan always watches over Birmingham. Who watches over the Vulcan? 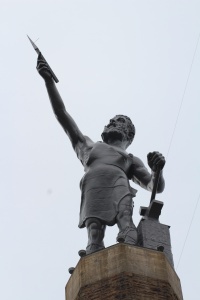 The Vulcan statue of Birmingham has served in a variety of roles since its inception in 1904 as an exhibition piece for the World’s Fair in St. Louis. 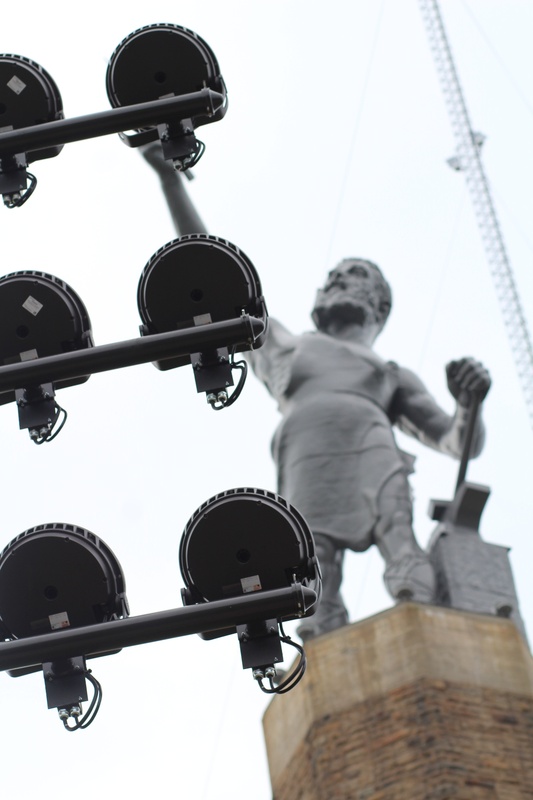 Currently, the statue stands like a guardian over Birmingham, symbolizing the city’s industrial roots. Towering at 56 feet tall on a sandstone pedestal at Vulcan Park and Museum, the statue has pierced the Birmingham skyline for 79 years. It has endured harsh weather conditions including Alabama’s scorching summer heat and the “snow-pocalypse” of 2014. While no natural phenomenon has been able to take the Vulcan down, this cast-iron Roman god of fire and forge still needs some tender love and care every once in a while. Joe Saling is just the man and caretaker that Vulcan needs. 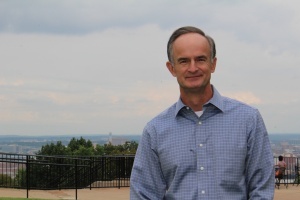 Saling has served as director of visitor experience at Vulcan Park and Museum for 2 years. In addition to accommodating the best possible experience for guests, Saling oversees park maintenance projects. Prior to working at Vulcan Park and Museum, Saling spent over 30 years in sales and marketing. He worked with Sheraton Birmingham and Renaissance Ross Bridge Golf Resort and Spa. Most recently, Saling worked on marketing and community relations efforts for the Grand Bohemian Hotel in Mountain Brook, Alabama. His expertise in hospitality and tourism has served him well in his position at Vulcan Park and Museum. Even so, taking on the role as the Vulcan’s caretaker did not come without a few learning curves, specifically in the aspects of engineering and construction. Shortly after Saling took the position, the Vulcan needed a new paint job. And the pedestal it stands on needed to be sealed. The Vulcan undergoes yearly interior and exterior inspections performed by the craftsmen at Robinson Iron of Alexander City, Alabama. “What they tell us is typically what we do,” Saling explained. “And fortunately, we do not have to do anything but every eight to 10 years.” Because the Vulcan is made of almost-indomitable iron, the statue rarely endures damage, aside from the occasional paint chip. Vulcan Painters of Bessemer, Alabama, maintain the statue’s interior and exterior paint work. When painting the Vulcan, they prep the surface by sanding it down, caulking cracks and imperfections so that they are water-sealed. Then, they use an industrial primer and final coat. The Vulcan’s last paint job was in 2012. According to Saling, the Vulcan is currently in great cosmetic standing. 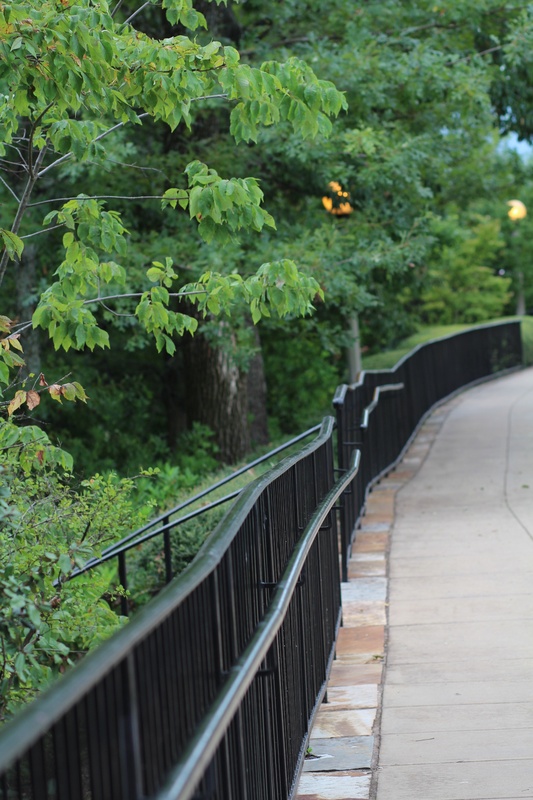 Start your Vulcan Park and Museum adventure with a leisurely stroll up this path. 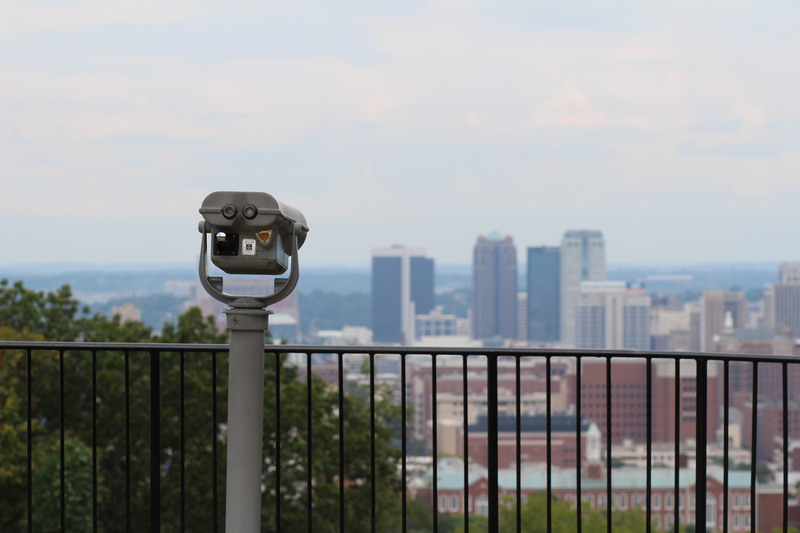 At the top, you will find an all encompassing view of the Birmingham skyline. 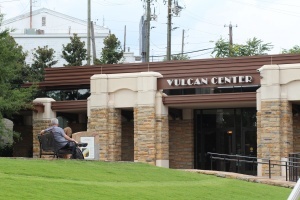 Then swing by the museum to learn important facts about Birmingham's beloved icon, the Vulcan. And don't miss the Vulcan light show, Fridays and Saturdays at 9pm.